The liberal haven Canada is facing protests by angry Chinese community after the ‘Hijab Hoax’ was called out. On 12th January, an 11 years old Canadian Muslim girl Khawlah Noman, held a press conference in her school claiming that an Asian man had ‘pulled off her jacket hood and started cutting off the bottom of her hijab’. Support for her started rallying around and Canadian Prime Minister Justin Trudeau, who condemned the said attack as ‘cowardly’ and said how such attacks will not be tolerated. However, investigation by the Canadian Police reveal that the incident didn’t happen and the girl had made the story up. The police had initially announced and started the investigation as a ‘hate crime’ but now that the truth has come out, the Asian community in Canada is outraged. Terming the incident as ‘vile’, Jenny Wong, a Chinese Canadian called the allegations by the girl as a ‘humiliation to Asian community’. In the North American countries, the term ‘Asian’ is usually referred to people of East and Far East Asian roots, especially Chinese and Korean. Referring to themselves as ‘easy targets’ Wong said she will join a rally ‘Hoax Today, Horror Tomorrow’ demanding an apology from the girl, the Canadian government for the ‘political terror attack’. 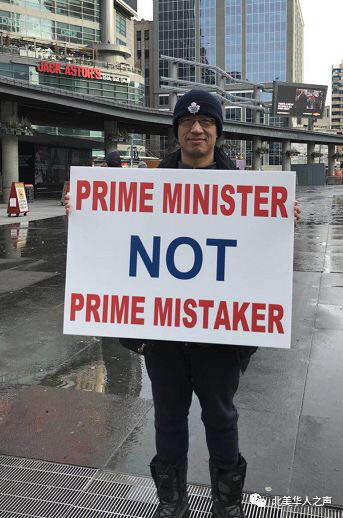 Many found fault with Justin Trudeau for giving credence to the hoax by apologizing. The fear of the Chinese community may not be totally unfounded. There have been reports of China coming down with restrictions on Muslims, like banning Muslim children from attending Quran classes and banning religious names for Muslim babies. China has also banned fasting during Ramzan to ‘ensure social peace and harmony’. Perhaps because of these restrictions in China, the Chinese abroad may be fearing being branded as anti-Muslims and hence could have been target of attacks by radical Muslims.